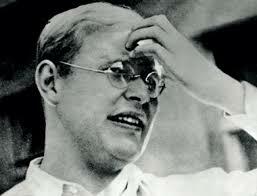 In the last week, I’ve been introduced to Dietrich Bonhoeffer two different times. First, I enjoyed Public Radio’s interview with documentary filmmaker Martin Doblmeier. He explored Bonhoeffer’s legacy as a theologian–a legacy that took on another dimension when he was imprisoned and executed for participating in a plot to assassinate Adolf Hitler. Then, my girlfriend’s brother and sister-in-law got me a compilation of his writings for Christmas. I appreciate Bonhoeffer’s unshaken voice of faith and optimism in spite of the holocaust that surrounded him and the execution that awaited him. we confidently await what may come. and most certainly in each new day. 867 pp. New York, Harper and Row, 1970. $17.95. can get to comprehending that incomprehensible time and this man’s life and work in it. 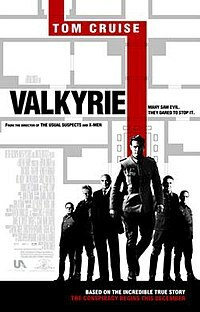 As Bonhoeffer’s student, friend, kinsman, ally, and posthumous editor, Bethge was, of course, uniquely qualified to write about him-and yet one must marvel at his ability to re-create circumstances, events, atmosphere, people, and the drama of it all. He has, in this tome, written one of the best books about the period, as well as the authoritative biography of Bonhoeffer. It is a long book and has taken three years and five translators and an editor to produce. Since abridgment has been made, and the editor should surely have stated this somewhere, as well as the principles on which cuts and condensations were made-ideally, of course, also where, for only this information would signal to a user who might want to do so where to look for missing matter in the original. Take some minor omissions: for example, the young Bonhoeffer’s diary entry after attending a Mass at Montmartre (p. 132 of the German original, missing from p. 70 of the English version), or the episode of the highly political sermon on the Golden Calf and the “church of Aaron” (p. 333 in the original and nothing, not even a reference to the text in the Gesammelte Schriften, on p. 215 of the English version), or Bethge’s terse but telling comment on the syllabus at the Finkenwalde seminary (about which the English version merely tells us that Bonhoeffer drew it up “to meet the demands of the moment” [p. 428, cf. the German p. 588]). It is in such small cuts that the reader is deprived of clues to Bonhoeffer’s theology, his preaching, and his teaching. It is a pity, for this is, after all, a book for serious readers; and they also need to know that the translation, though not bad by prevailing standards, is not always reliable. The lapses range from the relatively harmless (though irritating) to the misleading, even to reversals of meaning. Any serious user of the book should try to check back to the original, especially in cases of quotation. Lots of “little” things are apt to go wrong. of his awareness of the inadequacy of human reason-and thus revealed a slightly shamefaced solidarity” (p. 21). “Shamefaced solidarity?” On the contrary: “etwas beschämend Solidarisches” (p. 60 of the original); that is, the father, by his respect, sympathy, and solidarity, shamed these Christians into reciprocity. Unfortunately a detailed description of the father at work is among the unannounced cuts (pp. 638-9 of the German original). Here is the book that must be the basis of all discussions of Dietrich Bonhoeffer and what he stood for and what he meant and what he may mean for our times-be it in theology or ethics or politics. From now on there will be no excuse for the misuse of the name of Bonhoeffer for the fanciful speculations, misinterpretations, and distortions of which there has been such a profusion. Now things can be seen clearly and in their context. They are not simple things. To achieve clarity the book had to be contextual; it had to be long; and to get away from mythology it had to incur the suspicion of hagiography. Is it hagiography? The book is rich and liberal in detail, most of it telling detail, none of it irrelevant. And who will say-whether Dietrich Bonhoeffer was a saint or not-what detail is dispensable? His washing facilities in Barcelona might have been sacrificed (p. 70) and the Parisian Mass retained instead. But on the whole the decisions on abridgment -if there had to be such-are sensible and the main complaint is that they have not been indicated. But what riches are left! At last we have the book that enables all who will read it to get beyond entertainment and mythology. The Bonhoeffer myth has operated, like all myths, by impoverishment. Mythologizing always works by adding fancy and taking away fact. Here, now, are the facts. There is even a 40-page essay on “the new theology” which, read with sufficient attention and seriousness (and, alas, once more with reference to the German original and its Appendix B, notably pp. 1065-6), is most helpful, especially on the secret or “arcane” discipline. This is indeed as Bethge says, the subject generally given the least consideration; he also says (though he does not, as does the English edition, give it as a reason but rather as a consequence) that it is the subject on which there isso far-the least certainty and the most one-sidedness or imbalance of interpretation. Unfortunately once more the translation contributes to it (cf. p. 784 in the English edition, especially footnote 239, with p. 989 and footnote 237 in the original). own later actions must be taken thus and at first had to, and must still, speak for themselves. There was conspiracy and theology, plot and prayer, and a continuing concern with communion, community, communication, and the church. The theology remained “fragmentary,” but Bethge has given the greatest possible help with clarification and contextualization. Bonhoeffer’s actions-and his death on the gallows must really be allowed to speak for themselves; that is, we must listen, attentively and carefully, not with the ears of those who know the answers, but of those who owe a response, for that is what Mündigkeit means: responsibility. Below is our initial attempt at a thematic bibliography for Bonhoeffer study. This is by no means an exhaustive list but is limited to those books that we recommend for any given aspect of Bonhoeffer studies. Where the book title is hyperlinked this will take you to a review of the book on The Bonhoefferian. Further recommendations are welcomed. Eberhard Bethge, Dietrich Bonhoeffer: Theologian, Christian, Man for his Times: A Biography, Rev ed. Fortress, (2000). Renate Wind, A Spoke in the Wheel: Life of Dietrich Bonhoeffer, SCM, (1991). John D Gruchy (Ed. ), The Cambridge Companion to Dietrich Bonhoeffer, Cambridge University Press, (1999). Keith W Clements, What Freedom? The Persistent Challenge of Dietrich Bonhoeffer, Bristol Baptist College, (1990). John A Phillips, The Form of Christ in the World: A Study of Bonhoeffer’s Christology, Collins, (1967). Stanley Hauerwas, Performing the Faith: Bonhoeffer and the Practice of Nonviolence, Brazos, (2004). Also reviewed here. Geffrey B Kelly and F Burton Nelson, The Cost of Moral Leadership: The Spirituality of Dietrich Bonhoeffer, Eerdmans, (2003). Josiah V Young, No Difference in the Fare: Dietrich Bonhoeffer and the Problem of Racism, Eerdmans, (1999). Clifford Green, Bonhoeffer: Theology of Sociality, Eerdmans, (1999). Stephen R Haynes, The Bonhoeffer Legacy: Post-Holocaust Perspectives, Fortress, (2006). Not all can wait – certainly not those who are satisfied, contented, and feel that they live in the best of all possible worlds! Those who learn to wait are uneasy about their way of life, but yet have seen a vision of greatness in the world of the future and are patiently expecting its fulfillment. The celebration of Advent is possible only to those who are troubled in soul, who know themselves to be poor and imperfect, and who look forward to something greater to come. For these, it is enough to wait in humble fear until the Holy One himself comes down to us, God in the child in the manager. God comes. The Lord Jesus comes. Christmas comes. Christians rejoice! Why Does God Give Us New Days? Each morning os a beginning of our life. Each day is a finished whole. The present day marks the boundary of our cares and concerns (Matthew 6.34, James 4.14). It is long enough to find God or to lose him, to keep faith or fall into disgrace. God created day and night for us so we need not wander without boundaries, but may see every morning the goal of the evening ahead. Just as the ancient sun rises anew every day, so the eternal mercy of God is new every morning (Lamentations 3.23). Every morning God gives us the gift of comprehending anew his faithfulness of old; thus, in the midst of our life with God, we daily begin a new life with him (37). Read the same passage again and again, write down your thoughts, learn the verse by heart (indeed, you will memorize any text which has been throughly meditated upon). But in all this we soon learn to recognize the danger of fleeing once again from meditation to Bible scholarship or the like (35). Let us stay in the Scriptures when we meditate.